Medical There are 4 products. 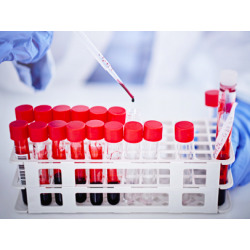 According EN 868-­2 norm, the sterilization paper, creped surface, 60 g/m2, is used to wrap medical clothes, surgical instruments and other articles that require steam, gas and gamma­ray sterilization. Made with 100% cotton linters, this very absorbent paper (330 g/m2) is suitable to identify the agents which are the cause of infectious diseases and to test the resistance of pathogenic organisms. This thick paper of 430 g/m2 has been developed especially for Shandon and Bayer cytological centrifuges. 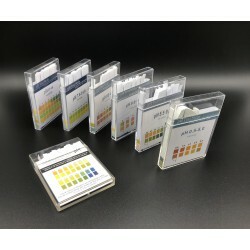 The personal diagnosis plastic strips for body pH measure pH values between 4.5 and 9.0. This products is to be used daily (several times a day) over a long enough period in order to get an average reading before consulting with a health practitioner.